The last of the Hahnemühle YouTangle.art Tile giveaways, ends tonight! You can find it here. If you are looking for the ‘Tangle Starts’ giveaway, you can find it here. 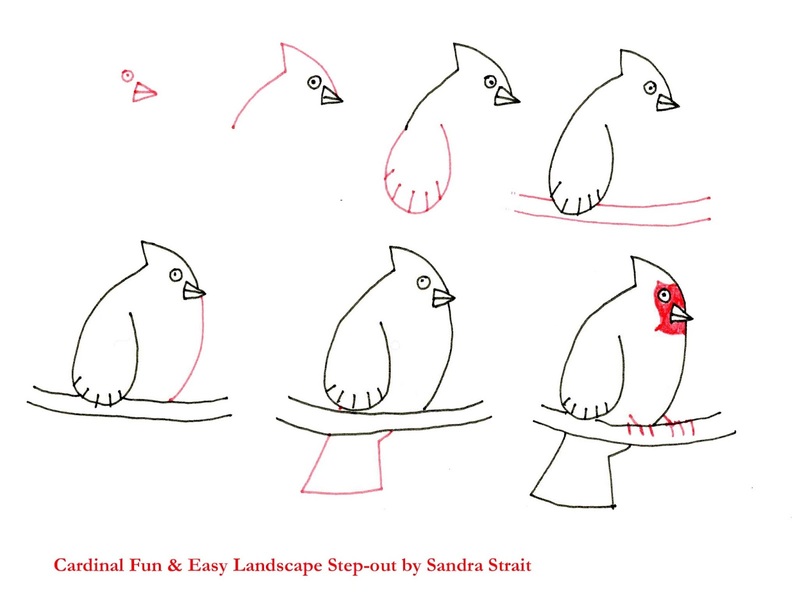 Winter will soon be upon us, so I thought it was time to pull out a cardinal for your Fun & Easy Landscapes. 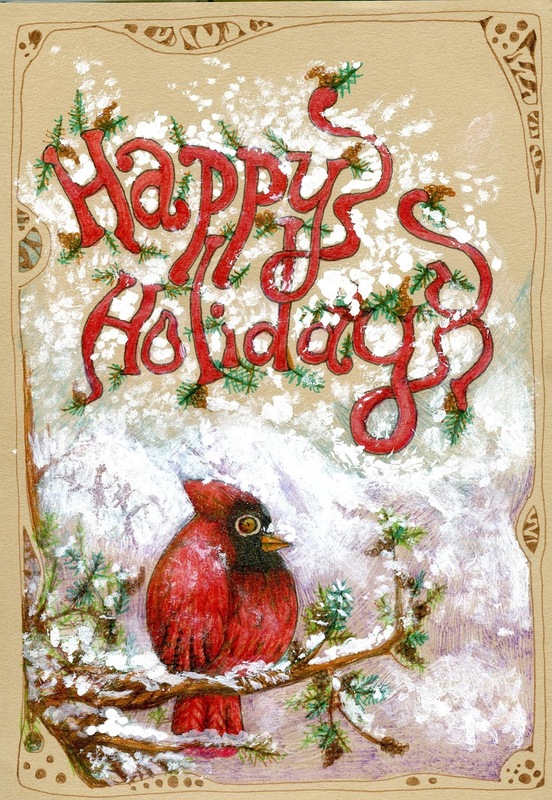 Today starts the 12-day #Birdmas Art Challenge Club on Google+, where you are challenged to draw or paint a bird for 12 days. I’m mostly painting them for my hubby’s lunchbag art, but for two of the days I’m using my Fun & Easy Landscape birds. Step-out done with Zebra Pen Zensations Fineliners. Example done with Zebra Pen Zensations Fineliners and white opaque ink in a Stillman and Birn Beige-toned sketchbook.